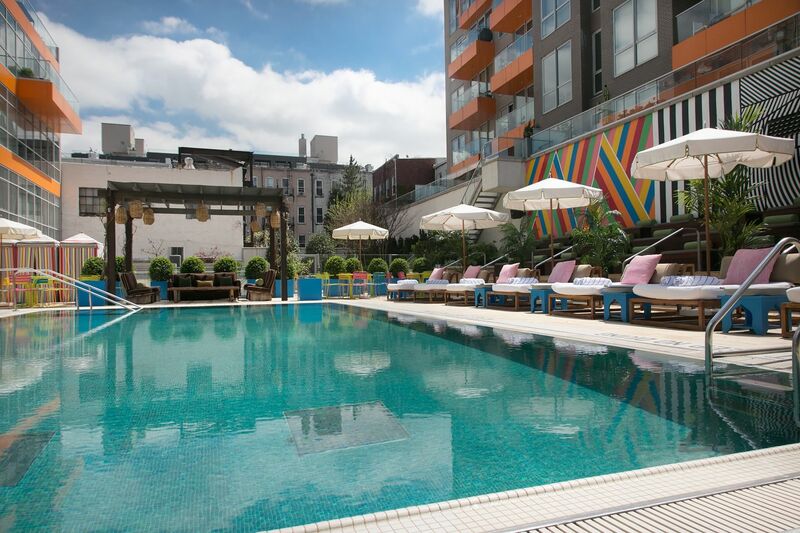 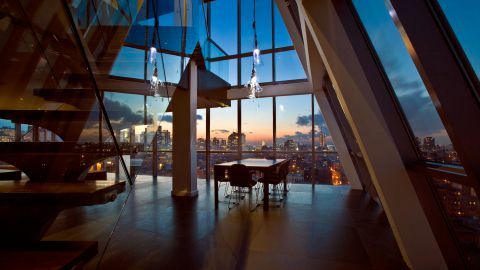 In the ever-popular Williamsburg neighborhood of Brooklyn is the laid-back McCarren Hotel and Pool. 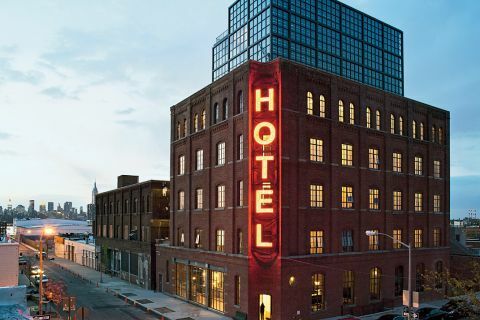 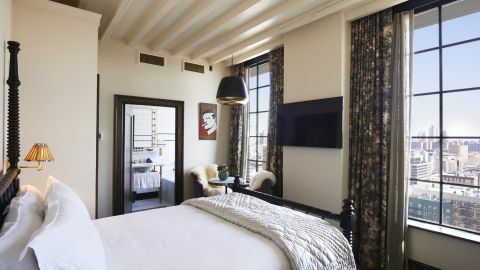 The hotel’s 64 minimalist guestrooms feature glass-enclosed rain showers, Frette Linens, and views of the either the namesake pool or McCarren Park. 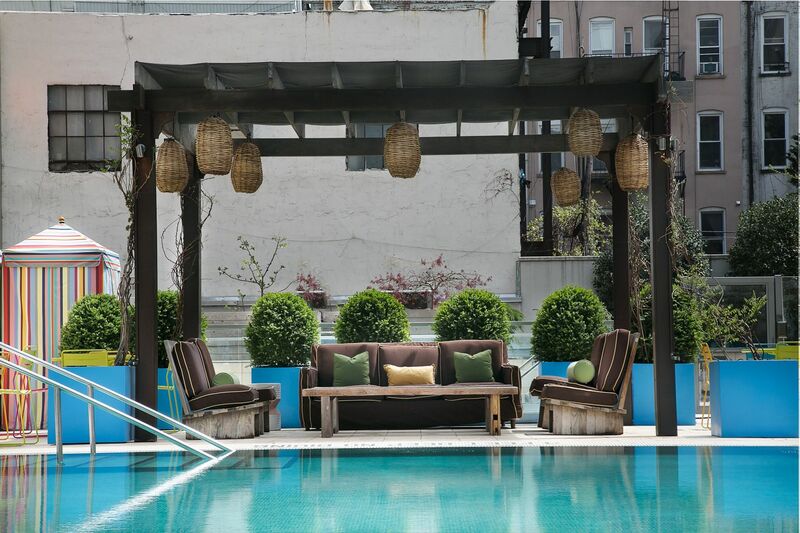 The big draw for this boutique property is the heated outdoor swimming pool, among the largest in New York City, with 4,800 square feet of deck space flanked by colorful murals and inviting chaise lounges. 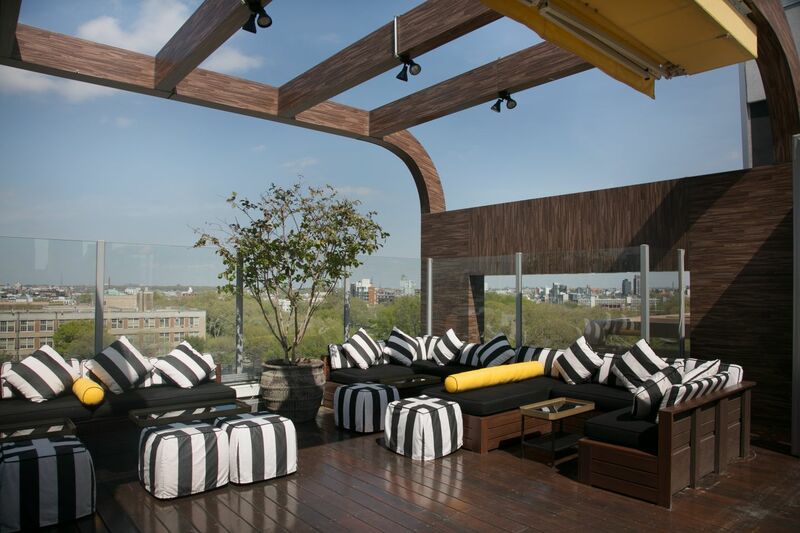 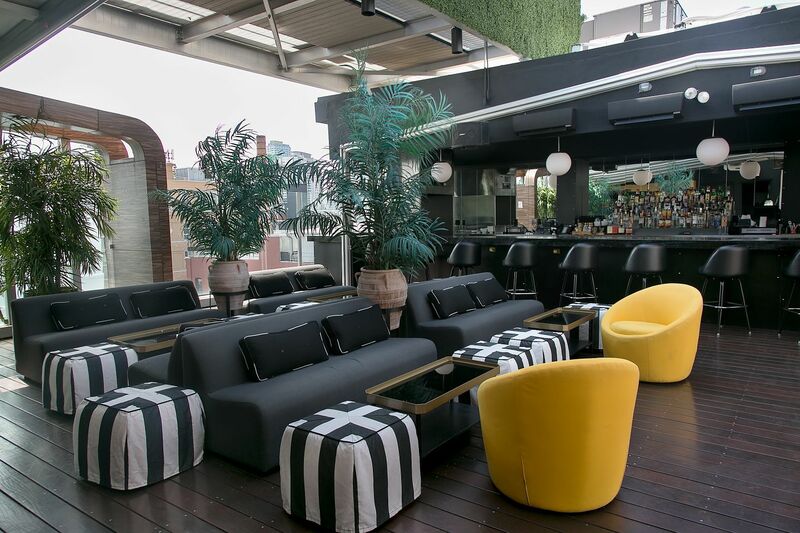 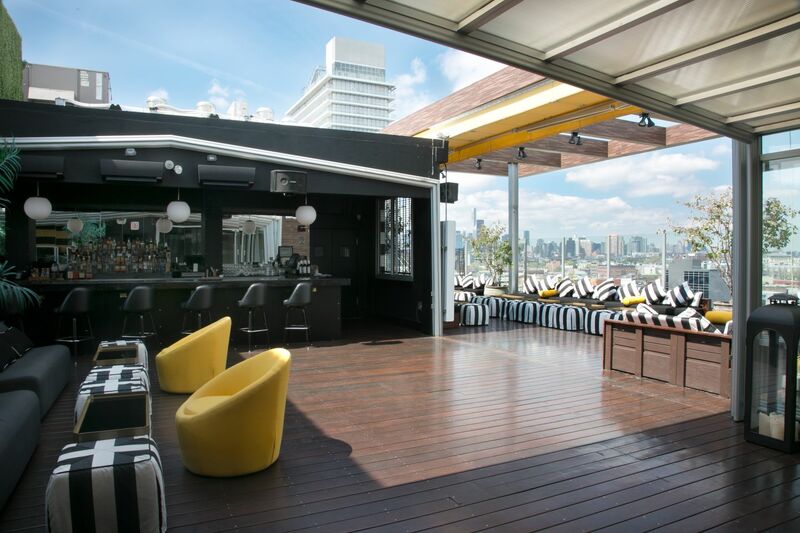 The hotel’s other outdoor space, the rooftop, plays host to summer sunset happy hours and late nights of DJs spinning amongst the black-and-white striped ottomans. 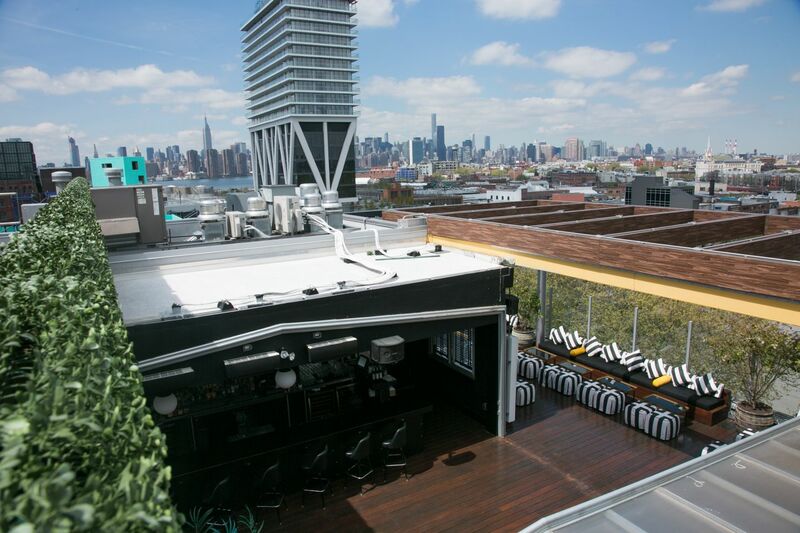 Oleanders restaurant, named for its signature wall of evergreen shrubs, serves up modern American cuisine from Executive Chef Kevin Chonjnowski (formerly of Manhattan’s Public restaurant) and spirit-forward cocktails from Bar DIrector Francis Verrall. 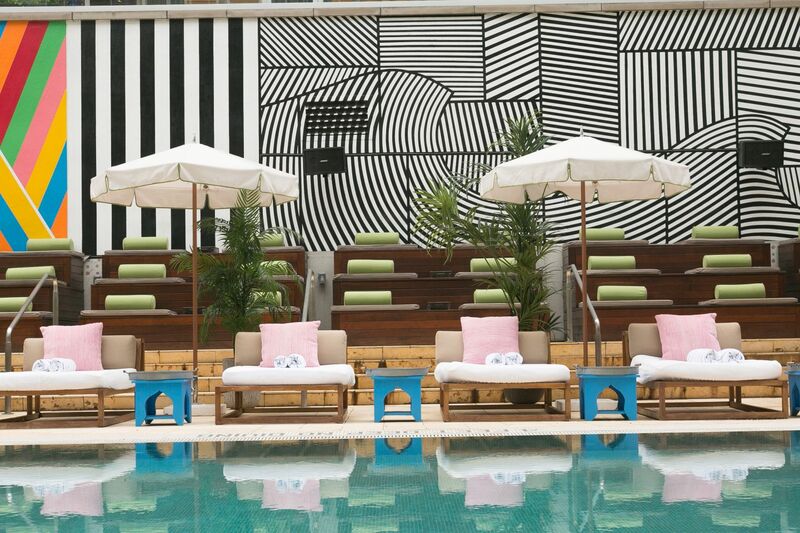 The checkerboard floors, bentwood chairs, and Tiffany-style chandeliers at Oleanders, along with the copper-clad bar and leather banquets, give McCarren Hotel and Pool a healthy dose of Old New York in an otherwise of-the-moment atmosphere.